In my unpublished book, Beersheba: the untold story of how three myths, two units, and one charge captured our imagination, I go into a lot more depth about the myths that continue to perpetuated about the Australia Light Horse charge at Beersheba, but the media coverage about today’s centenary of the charge is getting my goat, so I wanted to summarise my thoughts in this blog post. First, I’m not surprised Paul Daley has penned an article claiming that the Battle of Beersheba is only getting it’s moment in the sun because of the ‘politics of remembrance’. Although I dispute his premise that Beersheba was ever forgotten — as reviews of his book pointed out, how can an event that’s produced two movies claim to be ‘forgotten’ — I agree with his general point that there are many perspectives on history. And his article does provide a good general overview of the many operational moving parts leading up to the 3rd Battle of Gaza, which the Battle of Beersheba was actually the preliminary operation for. In the mythologising of the charge, the ‘vibe’ is that Australians were innate, natural soldiers. Yet, most of those who charged had been at Gallipoli, and some were Boer War veterans. And for those who hadn’t been there or weren’t veterans of earlier conflicts, such as the Reinforcements, there was initial and ongoing training ‘in-country’ for them and their horses, which meant they weren’t expected to simply ‘know’ how to ‘soldier’. And that’s before we go into the debate about whether they were light cavalry, mounted rifles, or mounted infantry. You’ve probably heard in the media coverage that the charge was because the horses needed water, that they ‘sniffed it in their nostrils’. Even Daley doesn’t buy this; in his article he summarises the months of preparation that went into ensuring there was water available for the Battle of Beersheba. In fact, due to the lack of water in Beersheba (which they’d anticipated to a degree), operations to attack Gaza were set back a week, as the most of the forces had to retrace their steps many kilometres so as re-water before the bulk of the force could advance from Beersheba to Gaza. This is the biggest myth that continues to be perpetuated, even in the current media coverage. Daley also points out that Beersheba was part of the third attempt to take the city of Gaza. Put simply, from my perspective, if the charge — as part of an entire day of military operations to capture the town of Beersheba — helped win the war … why did it take another year for the Armistice of Mudros to be signed? * This image of an Ian Coate artwork is doing the rounds again on social media … I only share it here to illustrate how the last line also perpetuates a myth (albeit carefully worded to try and refute claims that it continues the myth) … that ‘never would history see such a full-scale charge again’ … when Wikipedia has a reasonable list of notable charges throughout history, and does include the Australia Light Horse charge at Beersheba (though it doesn’t include when the US Special Forces took horses into Afghanistan in 2001). Today’s the Centenary of Beersheba … so where’s my book? Today’s the Centenary of the Battle of Beersheba, which included the Australia Light Horse charge, so where’s my book … Beersheba: the untold story of how three myths, two units, and one charge captured our imagination … you ask? Last year and early this year, I sent my full draft manuscript to two leading Australian independent publishers, two Australian branches of international major publishing houses, and the unpublished manuscript category of my (then) State-based Literary Awards. But they couldn’t publish it. I assume by genre they mean because my book’s a hybrid, that is part biography / my own story / official history. Either way, they wouldn’t publish it. My plan was to self-publish the book this year in time for today. The trick as a self-supported person through a full-time day job is that such a project would need to fit in and that work … so when things went ‘off the rails’ at work this year and my health declined, I was then focussed job-hunting which has resulted in an interstate move (from which I’m still unpacking), so I haven’t had the time outside of work to self-publish. Even though the Centenary is today, given the positive rejections quoted above, and my belief in this book, I will still self-publish … who knows, because of all the media coverage perhaps it’ll reignite interest over coming months so people will still be interested in my book. I’m looking to do a separate blog post regarding my annoyance at the current media coverage perpetuated the myths relating to the charge’s place within the Battle of Beersheba and Australia’s military history. Thanks to all of you who’ve stuck with me through this mammoth book journey. * this cover was produced in 2010 by the small Australian publisher that I was originally contracted to. I’ve hastily updated my surname and subtitle for this blog post, that’s why it’s a mash! Also, this will probably not be the final book cover. What a fun process that will be! I really have been bad with this blog. Please know though that I’ve promised myself that once the Beersheba book is out, I will find a regular blogging rhythm. I’ve used a few things to try and motivate myself into focusing on finishing the adult non-fiction, Australian military history book I’ve begun about the Australia Light Horse charge at Beersheba in World War One, but it seems I’m still struggling. I promised myself that I won’t work on my first novel until the Beersheba book is published. I won’t embark on my freelance business idea of delivering workshops, coaching and mentoring. I won’t do a masters course till the book’s published. I won’t get my quill tattoo until it’s published. But it seems the recent, and hopefully the final, motivational trick is that I now need to find a new publisher; and the centenary of World War One is upon us. October 2007 — As part of a group project for the RMIT University Graduate Diploma in Editing and Publishing I was completing, I presented our group’s idea about a book devoted to the charge of Beersheba. The day after, an independent publisher that one of my classmates worked for approached me to turn the idea into reality. October 2008 — After a year of discussing the proposal, the contract was signed. I resigned from my job in book publishing and spent three months researching full-time for the Beersheba book in Melbourne, Canberra, Sydney, Armidale and Tamworth. January to December 2009 — As my then husband worked full-time as an Army officer, I had the freedom to take time off work to prepare the first draft while in Darwin. I originally thought it would take me three to six months, but it ended up taking the whole year, even though I was working on it full-time. I did have another research trip to Canberra but spent a lot more time using the inter-library loan service of the NT Library. February 2010 — My publisher gave feedback that the first draft needed quite a bit of re-working and I agreed. April 2010 — My husband and I separated. This threw my world into a tailspin and the last thing I could focus on was anything creative. December 2010/January 2011 — Over New Year’s I tried to work on the book, but couldn’t find the voice needed for the second draft. July 2011 — I attended the ‘Million Dollar Expert’ program run by Thought Leaders and was reinvigorated with ideas. Using some of the techniques from the course, I restructured the book and decided to ‘own’ that it wouldn’t be strictly an ‘official history’, but not like the books produced by journalists either. September 2011 — I attended military history workshops conducted by Dr Peter Stanley and Dr Maria Hill at a major writers’ festival. This helped reinforce, for me, my new approach to the Beersheba book. July 2011 to July 2012 — Around the same time I was engaged to freelance publish War in the Valleys : 7th Battalion Battle Group (MRTF–1), Afghanistan, October 2008 to June 2009. This turned out to be quite an involved process, as outlined in my blog post ’10 Steps in Publishing a Book’. December 2012/January 2013 — With the freelance project finished, I revisited my Beersheba book to put together a few pages in the new style of writing I’d come up with 18-months earlier. February to November 2013 — I worked on snippets every few months but didn’t make much headway as I was waiting for direction from my publisher. By the end of the year though, we’d amiably parted ways. December 2013/January 2014 — With the hunt on for a new publisher, I’ve rewritten my proposal and worked out that the unsolicited manuscript process means I need at least the first 50 pages rewritten in the new style. I started this blog with the intent of exploring any and all genres of non-fiction. Well, that does include theology and philosophy ­— and perhaps the most prolific theologian has made global headlines of late. 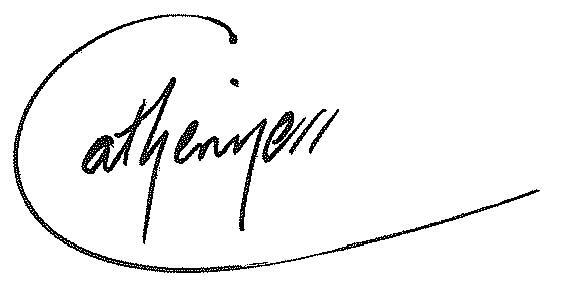 He has publised 66 books over his life, in multiple languages, and almost half of those have been published since 2005, when he became Pope. The cynical part of me thinks, in a crudely commercial sense, that he was probably published more after he became Pope because of the profile the position gave him, in that, the eyes of publishers probably lit up with dollar signs. But while the disillusioned writers among us might think that, the reviews of his most recent book, Jesus of Nazareth: The Infancy Narratives (2012), probably demonstrate his ability to reflect on Christianity’s deepest characteristics and explore them in a way that’s easy to understand. All in all, as an ex-Roman Catholic and despite any reservations I may have about how Pope Benedict XVI directed the Church during his papacy, I might actually pick up one of his books to try and understand why the story lines that form the basis of Christianity continue to endure after 2,000 years. Have you read one of Pope Benedict XVI’s books? Why haven’t I been working on my Beersheba manuscript for the past several months? Well, I took on a freelance project, my second one under Ryter Publishing. 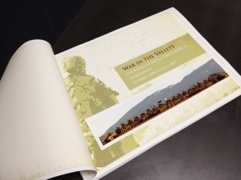 The project has been to publish a high-quality, photographic coffee table book for a Defence client, titled — War in the Valleys : 7th Battalion Battle Group (MRTF–1), Afghanistan, October 2008 to June 2009. I have prioritised this freelance project over my Beersheba book, thankfully with the blessing of my publisher Andrew Kelly of Red Dog Books (!). I thought some of you might interested in how a book develops, so I wanted to share what it’s taken to get this book to print. My main role has been as the project manager, which was being the conduit between the designer, printer and client. I was also the editor. Word length — 44 articles, ranging in length from 120 to 4,500 words; and ranging in style, from informal, light-hearted tone to formal Defence writing — Total manuscript length: 45,000 words; that’s about the same length as my Beersheba book. Photos — Some 1,260 photos were whittled down to 106 photos, and the page number for each photo was stipulated. The client put in a huge effort to get this done; over the Christmas break no less! Client — For the 7RAR birthday parade, the client was able to take the new text design and book dummies to show the lads that the project was indeed happening! Step Four — Pick photos! Client — As mentioned in the stats, the client spent the Christmas doing this, which displayed exceptional dedication to project! Client — Let’s include the nominal roll. Superlative idea! Me, Designer, Client — Receive advance of the book from printer. Approve bulk stock delivery. HOORAY! The lads receive a high-quality coffee table book that could be sold in the shop if they so chose. It’s that time of year: where news outlets produce copious montages and interviews reflecting on the year that has been, while individually we wonder what happened to the new year’s resolution we made more than eleven months ago. In the spirit of the season, and to help raise the profile of the craft of non-fiction writing generally, let’s review the non-fiction winners of 12 of Australia’s literary and history prizes and awards for 2011. The list is generally dominated by biographies and autobiographies of historians, architects, sports people, politicians and migrants, as well as stories of communities affected by cultural challenges and tragic events. So, as it’s the Christmas season, do you take into consider whether a book has won an award when buying books? When someone you know (or think you know) dies, you reflect on the influence they had in your life. So, my first blog post is my response to the passing of Steve Jobs: co-founder of Apple Computer Co. (now Apple Inc.) and founder of Pixar Animation Studios. I have been a lifelong Apple user, from the IIc onwards. One of my nicknames is actually ‘MacBorn With It’. Unfortunately, I can’t say that I learnt to type on the IIc. Well, I could, but I’m too honest. I originally learnt and practised on the Atari, with its cassette tape drive, that we had before the IIc. I do remember though sitting on my Dad’s lap once while he showed me a game on the IIc and I accidentally knocked his coffee into the keyboard. I learnt my lesson about liquids and computers! Dad then moved from the IIc to IIe to IIGS. His favourite Apple is still the IIGS, which is what I used to prepare my high school assignments. But it was the computer we had after that, the Macintosh LC575 that I took to university in 1997. At that point, aside from those studying IT, I was the only person in my group of friends who had their own computer. Then in 2000, I used the pay from my initial Army Reserve officer training to buy an iMac. I bought the Bondi Blue one, rather than the multi-coloured, orange or pink ones, because it was named after the colour of the ocean at Bondi Beach. No, actually that’s a lie (okay, maybe I’m not so honest). I bought Bondi Blue because I disliked the other colours. I dutifully returned the LC575 to my father, even though he’d already moved on through the MacPerforma to the iMac. I still have from my iMac’s 3.5 disk drive, mouse and keyboard. I’m actually using that keyboard attached to my MacBook to prepare this blog post. In 2004, my first overseas trip was to Europe and I saw iPod billboard advertisements everywhere. I already knew about the iPod (it was released in 2001) but it was not big in Australia yet. But by the time I bought one a couple of years later, it was an MP3-player phenomenon. That tiny device helped get me through my deployment in Afghanistan. When the iPhone was released in Australia, it was no surprise to those closest to me that I got one. Sure, it looks like I’m a sheep and following the crowd, but if you know me it’s not surprising that I have a suite of Apple products in my home. So, what is Steve Jobs’s legacy to computers and phone technology? Sure, we’d still have those things, but would they be as beautiful to look at and use without someone like Jobs pushing the boundaries? Oh! Let’s not forget that since the iMac’s release, using a lowercase ‘i’ as the first letter in product names or for trends is now ubiquitous. Think Hyundai i30 or iLoad, or even the use of ‘iSad’ as a hastag on Twitter for Jobs’s passing. How do you feel about Steve Jobs’s passing?